*Warning*Your session is about to expire. You will be automatically logged out, and any work in progress will be lost. Our Mobile App that works independently from our main software. Just a simple push of a button, order your File's Requirements. Keeps the Key Players informed 24 / 7 . . . from their smart phone. 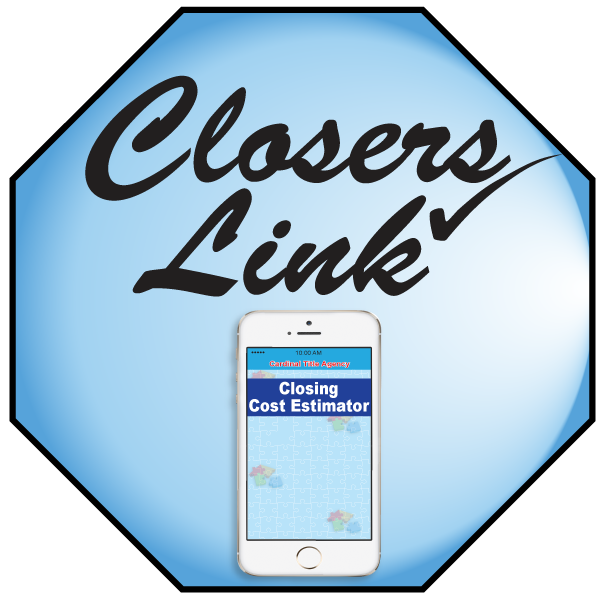 Our Mobile App instantly produces Closing Cost Estimates.